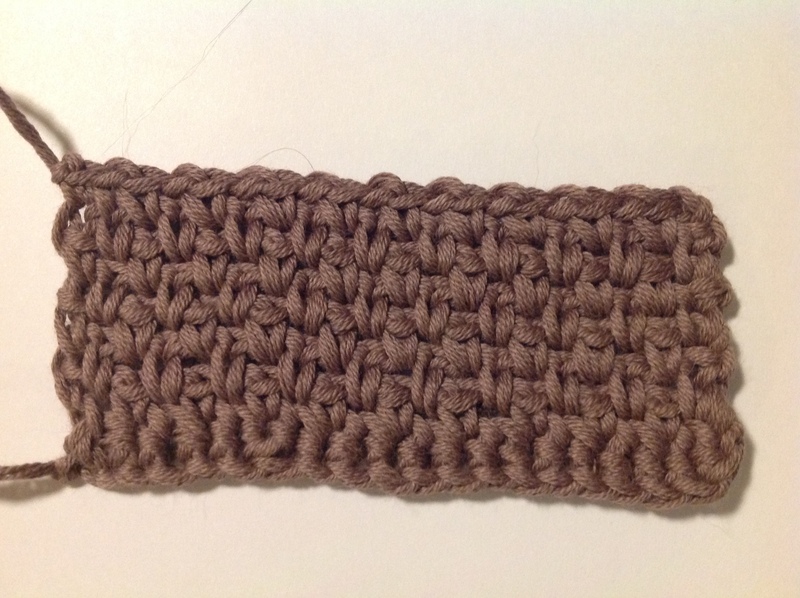 Moss stitch is another stitch that’s ludicrously easy. It’s just rows of alternating double (US: single) crochet and chain, with the next double crochet going into the chain. The biggest challenge is making sure you don’t accidentally drop a stitch at the end of the row, but counting fixes that. It’s a nice looking fabric though!